Currently used batteries such as lithium-ion and lead acid batteries take hours to charge and have short lifespan for charging and discharging. They can also be harmful to the environment. Lithium-ion batteries are unstable and can explode and cause fire. Graphene battery storage is under production at Graphenano, a Spanish based company that develops diffierent technologies using graphene. 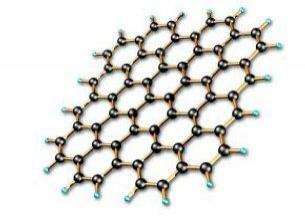 Graphene is a monolayer carbon lattice that is harder than diamond. These new battery offers much higher energy density than Lithium-ion (1000 Wh/kg vs. 200Wh/kg on a Tesla Model S), has no fire or explosion danger unlike Li-ion, and charges in minutes, lasts longer , and 3 to 5 times smaller than Li-ion battery. 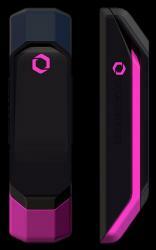 More media exposure to encourage attractiveness of graphene-based battery to the public. Full production of the battery will be underway by October. Continuous research to improve this battery to lower its cost. One of the biggest problem in electricity is the peak load. The grid has to meet all the demand every time and needs to be ready for that. So the difference between peak demand and normal time there are lots of power plants that are resting. Besides If you shave even a small amount from peak demand and add it other times of the day it would same millions of dollars to government as the highest bidder who is helping to meeting highest demand on a certain time is the one who determines the cost of electricity to all of the power generators. This emphasizes the importance of storage. In this article a startup called Axiom Energy claims to find a solution for Supermarkets for the peak hour. Company sells technology that plugs into super market refrigeration units and uses tanks of frozen salt water as a way to store energy and lower supermarket energy bills. During peak times this supermarkets shift to use this technology, frozen salt water tanks, to keep cool the refrigerators and at nigh when the demand and electricity prices are low they can freeze the tanks with electricity. They called it as Refrigeration Battery. It is basically using thermal energy. First supermarkets later it can be various places like data centers, cold storage units etc. But on the big picture as it supports shaving on peak demand every tax payer would benefit. Depleting fossil fuels and its consequent environmental impacts on climate change means alternative sources of energy need to be found, and soon. The organic mega flow battery is an economically feasible option for storing energy. This is particularly useful for renewable technologies such as solar power and wind power which rely on sunlight and wind power. Essentially, the flow battery stores the excess energy generated from these technologies and is available when either sunlight or wind is unavailable. They are much more efficient than the traditional batteries used to store energy from wind and solar power. Conduct a pilot test and use it to complement one of the ongoing solar projects in a region- possibly Africa (Tanzania) which has abundant solar projects. Collaborate with city governments and implement with an upcoming Smart City project. 1)Sustainability Problem – Clean drinking water is becoming more and more scarce on Earth. 2) – More than 3.5 million people die every year from water-related diseases, and almost 900 million don’t have access to a safe water supply. – Each Slingshot can purify 1000 liters of water per day, which can essentially support the water needs of 100 people. Plus it only uses a small amount of electricity. – Slingshot is expensive to produce so Kamen he realized he must partner with companies that can distribute Slingshots globally. – Continue research to drive costs down. Third world countries will not be able to afford Slingshots at current cost. – Find key areas that are in most need of clean water without access to it. Target these places and determine whether Slingshot would be a viable solution for them. – Create public-private partnerships in these areas in order to set up Slingshots for the people to use. The impacts of climate change are clearly visible in this day and age. Rising temperatures as a result of CO2 emissions from fossil fuels such as oil, coal and natural gas will only add to this problem. Researchers have developed a system that generates electricity from osmosis with unparalleled efficiency using seawater, fresh water, and a new type of membrane just 3 atoms thick. A 1 m² membrane with 30% of its surface covered by nanopores should be able to produce 1MW of electricity. This is enough to power 50,000 standard energy-saving light bulbs. The effectiveness of this clean energy method has only been implemented on a small scale. The next phase would be to identify potential investors by attending energy efficient conferences. Identify a electricity generation company that is transition towards the usage of clean energy. Conduct a 6 month trial period during which time staff go the electricity generation company are trained. Provide workshops to further educate the employees in the company. Once the effectiveness of osmotic power as a means of clean energy is more apparent to the general public, continue to seek out more investors to increase large-scale implementation. Dependance on fossil fuel to generate electricity is a global issue that needs to be addressed, considering the high rate of depletion as well as the impact on climate change. The German battery company Sonnet launched a home battery for self consumption at a 40% reduced cost. The battery is basically an “eco pack” that is designed to maximise on-site solar consumption in markets where net metering is being phased out. The sonnenBatterien can optimise the energy supply and demand to such a degree that an integration of 100% renewable energy within a community is possible – 24/7. This will reduce dependance on fossil fuels and improve air quality. Extensive testing of the product in households. Additionally integrate into businesses to see how well it fits into large systems. Report on costs saved and amount of fossil fuel consumption reduction. Once data on this has been publicised, continue increasing awareness of product by attending energy efficiency conferences. Current pricing of installing is quite high, therefore partnering with another company with similar interests may be in the best interest at the beginning phase of implementation. This will allow you to minimise risks as well as provide a temporary financial cushion when installation prices are reduced.